Home > Benefits Guides > Carer's Allowance > How much Carer's Allowance will I get? Carer's Allowance - How much Carer's Allowance will I get? Carer's Allowance is money for people who spend at least 35 hours a week providing regular care to someone who has a disability. The person you care for must be getting a relevant benefit because of their disability,which in some cases has to be paid at a certain rate. 1. What is Carer's Allowance? 2. Can I get Carer's Allowance? 3. How much Carer's Allowance will I get? 4. How do I claim Carer's Allowance? 5. How do I challenge a Carer's Allowance decision? Carer's Allowance is money that you can spend as you want. The weekly rate is £66.15. If you receive Carer's Allowance you also qualify for a Christmas Bonus each year (unless you get one with another benefit). This is usually £10. You do not need to make a claim for the bonus it is paid automatically. It does not affect any other benefits you might get. If you or your partner qualify for Carer's Allowance, you are exempt from the Benefit Cap. See our Benefit Cap guide for more details. How will I be paid Carer’s Allowance? Carer’s Allowance will be paid directly into your Bank, Building Society or Post Office account or by Simple Payment if you are unable to open or manage one of these or a similar account. You can choose to be paid either weekly in advance, or every 4 or 13 weeks in arrears. Carers are one of the groups that can claim Income Support. Carer’s Allowance (after tax) counts in full as income when calculating your entitlement to other means-tested benefits. In some cases, you may meet the conditions for both Carer’s Allowance and another benefit, such as State Retirement Pension or contributory Employment and Support Allowance. 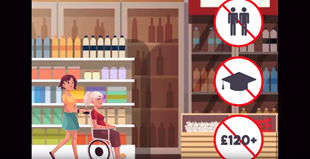 As these benefits 'overlap' you may not receive a payment of Carer’s Allowance, even though you would if it weren't for the other benefit you receive. If the other benefit you receive is worth less than Carer’s Allowance, your other benefit can be 'topped up' to the current rate of Carer’s Allowance so you don't lose out. The rules about overlapping benefits are complicated and you may need to get advice about this from an expert benefits adviser. People living in Scotland, who are receiving Carers Allowance could also get an extra payment known as Carer's Allowance Supplement. Carer's Allowance Supplement will be £226.20 and will be paid in two payments a year (in June and December 2019). There is no need to apply for Carer's Allowance Supplement. You will get this automatically if you get Carer's Allowance and live in Scotland. You will get a letter if you are entitled to Carer's Allowance Supplement to tell you about the payment and when you will get it. Carer's Allowance Supplement will not be taken into account as income when you are assessed for other benefits. People who cannot get Carer's Allowance due to overlapping benefit rules will not qualify for Carer's Allowance Supplement. You can find out more information on the Carer's Allowance Supplement from the Scottish Government website. Previous Can I get Carer's Allowance? Next How do I claim Carer's Allowance? Can you claim Carer's Allowance? Watch our video to find out if you are entitled.